A Tottenham fan was arrested during Sunday’s north London Derby after throwing a banana skin at Pierre-Emerick Aubameyang. The 29-year-old striker was celebrating his goal from the spot, which opened the scoring when a banana skin was launched in his direction, an act believed to be racist. The police immediately went into the visiting fans to arrest the fan. 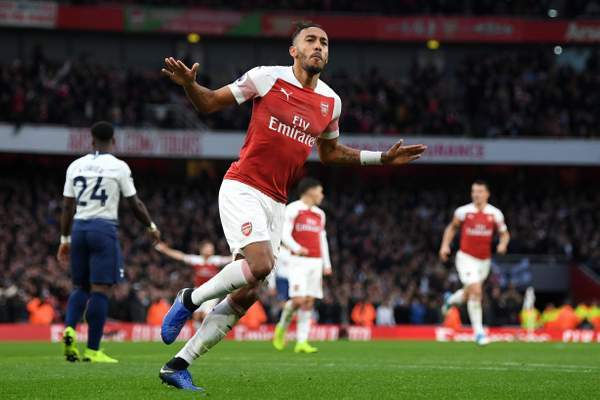 Aubameyang hit the target again in the second half as the Gunners secured a 4-2 comeback win in the explosive fixture at the Emirates. Lucas Torreira and Alexander Lacazzette scored the other two goals while Eric Dier and Harry Kane found the back of the net for Spurs.